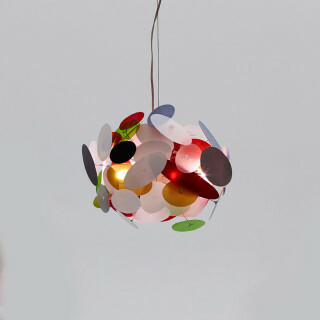 The Acacia light small LED pendant is a swirling ball of energy suitable for medium spaces. Eight 2 Watt LED globes give ample light to its surrounds. 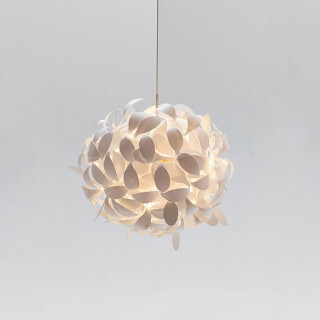 Opal white poly-carbonate sheets are cut into seed pod shapes, these are attached to stainless steel wires. The pod shapes are arranged in a spiralling manner, anchored to the central hub making a sphere. 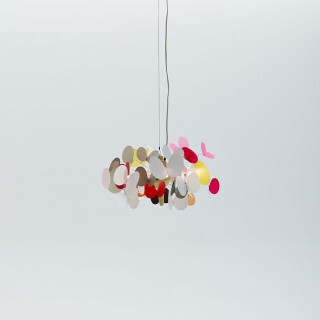 The form suggests a cyclical movement of flowing energy from within the light. 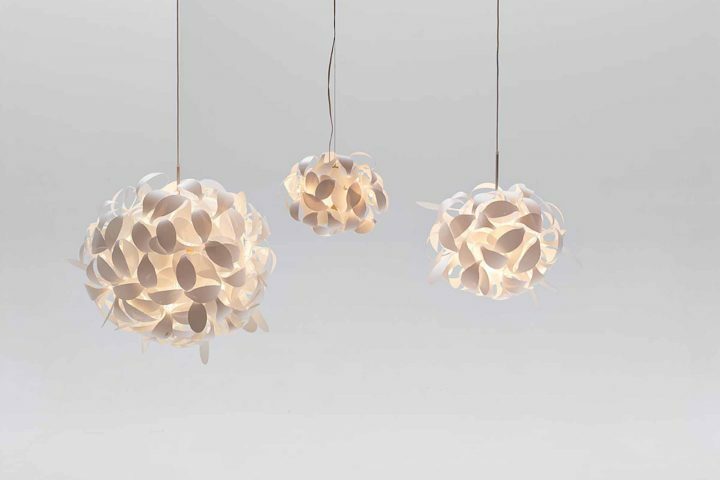 The inspiration for this light came from the Acacia tree, native to Australia. 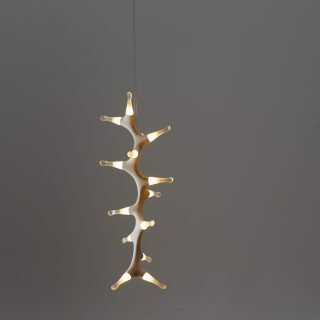 Flowing spiralling energy in pure white light.